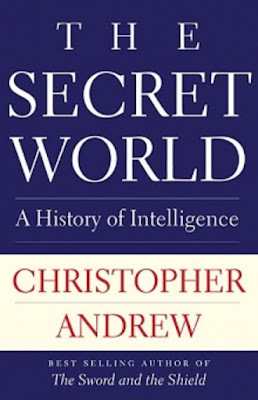 Veteran journalist and author Joseph C. Goulden offers a good review in the Washington Times of Christopher Andrew's The Secret World: A History of Intelligence. At hand is a truly magisterial work, a sweeping history that stretches from the biblical era to the present. Christopher Andrew is the leading academic intelligence historian of our time. A professor at the University of Cambridge, he has written a veritable shelf of books on intelligence. 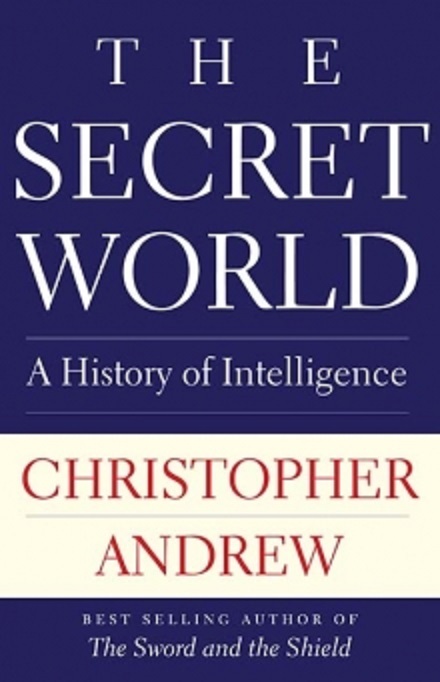 “The Secret World” is a must-read for any person with a serious interest in intelligence. But be forewarned. The more than 800 pages of text require more than a casual scan, but are well worth the investment of serious time. His evidence, buttressed in 111 pages of documentation sources, is rich with anecdotes and opinions of world leaders who relied on — or ignored — intelligence as a tool of office.